"Generally, sporting legends end their careers on a tragic note. A tragedy is exactly what makes these legends even more iconic and memorable than they actually are. " At present, these lines can be associated with veteran England batsman Kevin Pietersen. The 39-year-old spent the back end of his career on the fringes. Kevin Pietersen's brand of cricket resonated well with the spectators. He was an outcast in A team that was known for being too orthodox. Irrespective of the conditions and the quality of the bowling attack, Kevin Pietersen had the courage to score runs. Pietersen was part of the first generation of players to grow alongside Twenty20 cricket. The thrills and spills of Twenty20 cricket made him an overnight star in Twenty20 leagues around the globe. 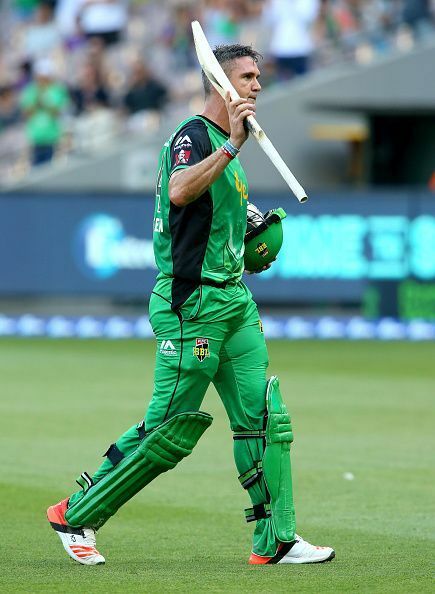 Even after being dropped from the side in 2014, Twenty20 franchises around the globe did not lose interest in Kevin Pietersen. Some would argue that it was his aggressive batting technique which ended up earning him a huge fan base across boundaries, but more than his batting technique, it was his aura that made him an instant fan favourite. Colored hair, tattoo-clad arms, rippling muscles, and above all, an in-your-face attitude'. Watching a player of Kevin Pietersen's caliber struggling to get into the English side was undoubtedly disheartening. Pietersen, an integral part of England's line up from 2005 to 2014, was known for his aggressive style of play. The lanky southpaw from Hampshire created a splash during the memorable 2005 Ashes Series. This swashbuckling innings of 158 (187 balls) at the Oval ensured that England salvaged a hard-fought draw in the fifth and final test of the series. It certainly won't be an overstatement to say that Pietersen, wittingly or unwittingly, became controversy's favourite child during the late part of his career. The man from South Africa had a fair share of controversy throughout his splendid career. When he took over the reins from Michael Vaughan in 2007-08, he was widely regarded as English cricket's trump card. In 2008, when Pietersen led England against India, his relationship with England coach Moores had already begun deteriorating. Soon after the incident, Moores was removed from and so was Pietersen. Andrew Strauss took over the captaincy from Pietersen and Andy Flower was assigned the coaching job. Pietersen silenced his critics in 2011 when the world champions India were whitewashed 4-0 in the test series in England. He was quite instrumental in England's series victory against India after having amassed 533 runs in the 4-match test series. Breathtaking batting displays coupled with an average of 106 in the series meant that Pietersen's reputation as one of England's all-time greats could no longer be denied. A dip in form in 2012 was followed by more off-field drama. Pietersen's relations with the ECB and the coach Andy Flower deteriorated. He further landed in a controversy after sending defamatory text messages regarding England skipper Andrew Strauss to the visiting South African players. What followed the incident was an apologetic interview given by Pietersen at a press conference. But sadly, Pietersen's reputation kept on deteriorating. His dismal outing against the Aussies down under in 2013-14 Ashes series down under is believed to the prime reason behind the southpaw's untimely retirement. Pietersen's autobiography published later that year added salt on the wounds and was arguably the most outspoken autobiography in the history of the game. It launched an emotional outburst on those he felt had wronged him and had brought his England career to a dead end. With more than 8,000 Test runs under his belt from 104 Test matches for England, Pietersen is undoubtedly one of the greatest and the most celebrated cricketers of the modern era. A fraction under 4,500 ODI runs in 136 matches aren't enough to highlight the impact he had on the game. His on-field presence spoke louder than words. It was his absence from the team during the 2015 World Cup that resulted in England getting knocked out in the group stages. People might remember him for his swashbuckling hits, recurring controversies, and charismatic aura, but his fans would always remember him for the impact he had on the game. 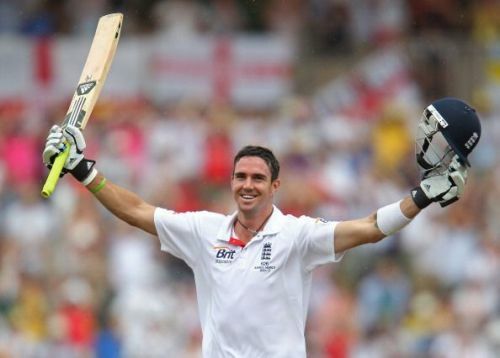 It was Kevin Pietersen who transformed the way the Englishmen looked at white-ball cricket. He can rightly be cited as the first white-ball star of English cricket. While some might forget his contributions to the game of cricket owing to the countless controversies, his fans (I must include myself here) would never forget him for the sheer audacity he brought along.